Ballerini’s new single has a lullaby feel to it with calming guitars and riffs that take your mind to another place. It takes a twist on the traditional love song. This ballad that she wrote with Shane McAnally and Old Dominion’s Trevor Rosen, is as groovy as it is sweet. Despite the title, the song is covered in odes to being in love. It’s a tribute to meeting someone unexpectedly, or unapologetically, and you like that it’s gonna happen but hate it at the same time. Throughout the whole song the tempo is upbeat and the chorus will for sure get stuck in your head as it’s catchiness is contagious. It is an undeniable attest to being in love and has a sweetness behind it’s truth. I mean honestly, glittery cards, cupid, and heart shaped tattoos are totally corny. However, this song is the best counteraction to them all! Kelsea’s voice is displayed in the best way possible, especially on the last verse of the song when her voice cuts through the noise. Her sound is matured and carries a different tone than her other songs. 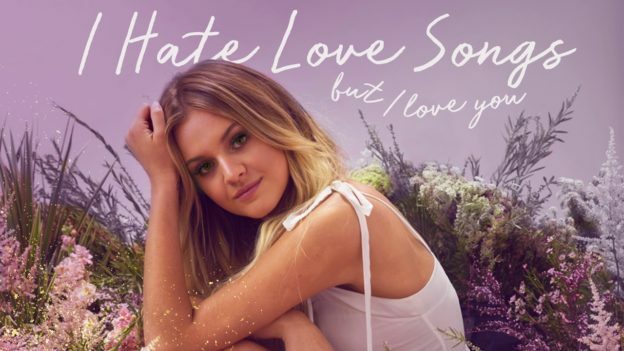 This entry was posted in Home page blog, Reviews and tagged 'I Hate Love Songs', 'Unapologetically', Kelsea Ballerini, Love Song, NECM, New England Country Music, New Single on March 5, 2018 by MckenzieNECM.